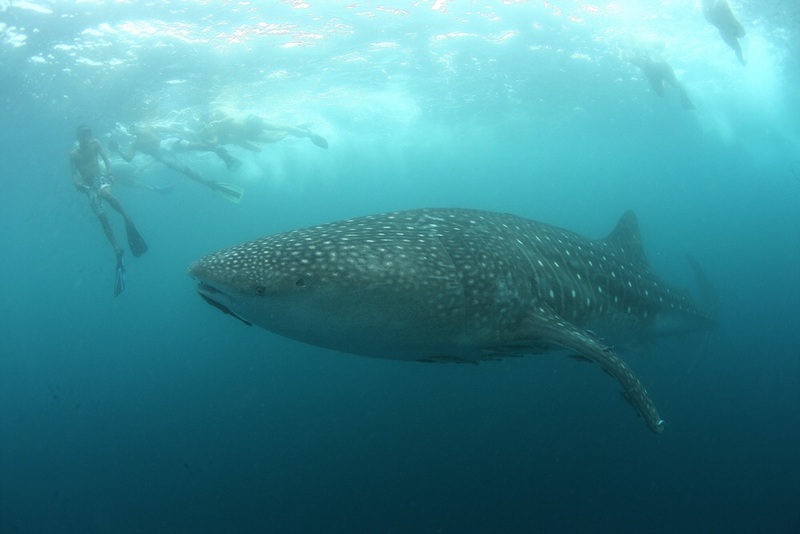 The monitoing team found three whale sharks on today. One of them is baby whale shark, only 2 meters long, only? :) yes, becasue normally we could see 7 to 9 meters long whale sharks.